Have $100,000 burning a hole in your bank account? It may sound like an unlikely pipe dream, but windfalls happen: You sell a larger home to downsize; you find a buyer for your small business; a relative leaves you an inheritance. Or maybe you’ve simply chipped away at building wealth over the years and are ready to put that savings to work. For the purposes of this article, we’ll assume you’re already standing on solid financial ground: You have no revolving high-interest (credit card) debt, you’ve got an adequate cash cushion to cover any emergency expenses, you’re able to easily cover your monthly expenses and have any money you need for nearer-term expenses (home improvements, tuition, family cruises) set aside and not invested in the stock market. Now, let’s get to work on investing that $100,000. I’m a DIY investor. If you’re the hands-on type, it’s cheaper — and easier — than ever to create, research and manage your own portfolio. Before you begin, decide which trading style is best for you — active trading, day trading or passive investing. 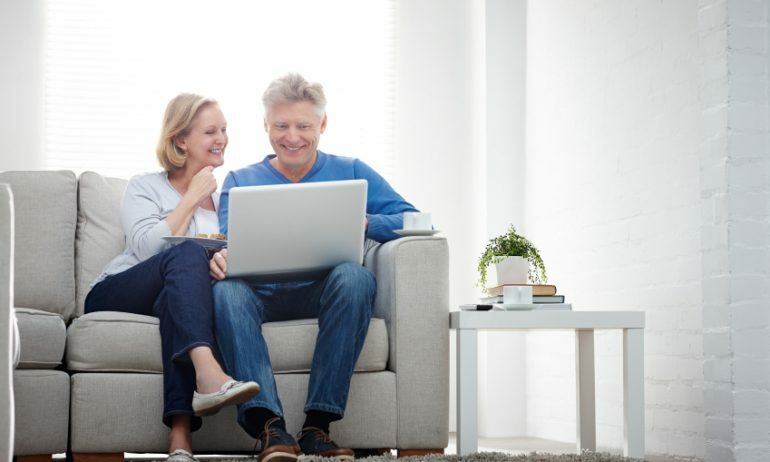 Once you’ve opened an account with one of the many online brokerages, you’ll be able to take pick and choose among a variety of assets (think: stocks, bonds, mutual funds, ETFs and options). Consult our picks of the best stock brokers. I’d like to automate this process. Looking for a low-cost/low-hassle solution? Robo-advisors are a good option. These companies offer automated portfolio management for less than you’d pay a human to do the same thing. But many providers offer a human touch, where you’ll have access to financial advisors who can answer investing questions or customize your portfolio. We’ve rounded up the best robo-advisors, depending on your needs. I’m seeking full-service guidance. Hiring a financial advisor (we recommend fee-only) is the costliest option. But you get someone to make investment recommendations, manage your windfall and address other financial planning tasks on your list. If this is more your speed, learn how to find a financial advisor. Once you’ve determined what type of investor you are, time is of the essence to start putting that money to work in the market. A $100,000 windfall offers a unique opportunity to pad your savings — and beyond, maxing out your retirement account (more on that later). Investing, say, $70,000 of that windfall and earning a 6% average annual return will mean an extra $300,000 in 25 years — the kind of padding that makes it less likely you’ll run out of money and have to move in with the kids. Use a retirement calculator to see how extra dollars affect when you can retire and how much monthly income you’ll have in the future. Don’t even think about the Cayman Islands. There are legal ways to dodge the IRS, at least for a while, and one of the best is to stuff as much of that $100,000 as possible into tax-favored retirement savings accounts. With $100,000 at your disposal, you can afford to max out both a 401(k) and an IRA if you’re eligible. If you’re under age 50, that comes to $25,000 in 2019 ($19,000 for the 401(k) and up to $6000 for an IRA). It’s $32,000 for those age 50 and older when you add in the catch-up contributions (an extra $6,000 in a 401(k) and $1,000 for an IRA). I liquidated a 401(k) when I left a job. You have just 60 days after an employer cuts you a check to get that money saved in a workplace retirement account into either a Roth IRA or a traditional IRA. Otherwise, you’ll trigger a pretty hefty tax bill consisting of income taxes (the IRS treats the money as earned income for the year) and a potential 10% early withdrawal penalty. Read more about how to roll over a 401(k) to an IRA. I inherited an IRA: You may be on a tight deadline if you’ve inherited an IRA. The rules about what beneficiaries can and cannot do vary, as does the timeline for taking action without incurring penalties or triggering extra taxes. It all depends on your relationship to the deceased (surviving spouses have different options than other beneficiaries), whether or not the former owner had started taking distributions before they died, and the type of IRA (Roth or traditional). Just as you don’t want the IRS to come knocking for your money, don’t lose it all to fees. Remember back before you were a one-hundred-thousandaire and you were vigilant about every little extra investing cost? You’re probably considering new investments, so keep up that mentality because now there’s more money at stake. Investing fees are like a distant relative you helped out one time who now hounds you for bigger handouts. Not only is every dollar you hand over money you’ll never recoup, but it’s also one less dollar you have to invest for your future. And a dollar that’s not invested has no chance to compound and grow. Even a small extra fee can take a huge bite out of investment returns. We calculated that a millennial investor paying just 1% more in investment fees than her peer sacrifices nearly $600,000 in returns over time. The fix? Invest in low-cost mutual funds and exchange-traded funds as opposed to paying the higher price for actively managed funds or explore our picks for discount brokers. Don’t scrap your existing asset allocation plan (that carefully crafted pie chart indicating how much of your money is in cash, bonds, stocks, real estate, etc.) in order to accommodate new money. Unless you’re in the midst of a major life change, such as retirement or liquidating assets for an upcoming expense, changes to the current makeup of your portfolio and your risk tolerance profile are probably unnecessary. Take an asset allocation snapshot. Look at the overall mix of investments you have in all of your accounts, including current and old 401(k)s, IRAs, taxable brokerage accounts, bank accounts, sock drawers, and so on. Identify areas where your portfolio has become unbalanced. Position sizes morph over time as investments change. Rebalance your portfolio by using some of the windfall money to restore the underrepresented assets. This will reduce your exposure to risk from lack of diversification. Consider asset location, too. Asset location also offers tax diversification. With your 401(k) and in IRAs, you’ve got the tax-deferred angle covered. Because you’re not taxed on investment growth, it makes sense to hold investments that generate taxable income (such as corporate bond funds, high-growth stocks or mutual funds that buy and sell a lot) in these accounts. Even better if you can hold them in Roth versions of these accounts, where withdrawals in retirement are tax-free. In a taxable account, such as a regular brokerage account, growth and interest are subject to yearly income taxes, so slow and steady investments (large-cap stocks or index funds) belong here.